Posted in Misc and tagged racism at 9:51 am on November 28, 2018 by Bodger. 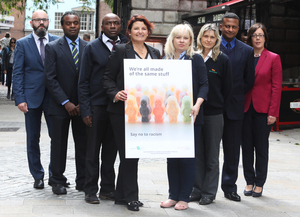 Representatives from: Dublin Bus, Iarnród Éireann, Bus Éireann, Transdev, Local Link bus services and the taxi industry at the launch of Europe’s largest national transport anti-racism campaign. 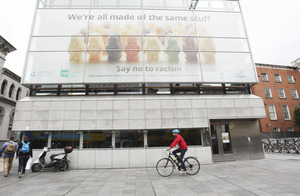 A giant sample of the creative used in the advertising campaign “We’re all made of the same stuff” was displayed on the side of the Dublin City Council building in Barnardos Square. Above (far right) Brian Killoran, CEO of the Immigrant Council of Ireland and (far Left) Anne Graham, CEO, National Transport Authority. Posted in Misc and tagged racism at 4:05 pm on August 14, 2017 by Broadsheet. 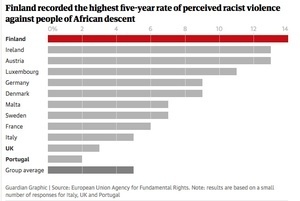 A PSA from UK advocacy group Racial Justice Network, on ways to to counter racism. 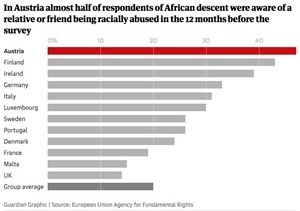 Racist attacks in the UK have reportedly risen post-Brexit. Posted in News and tagged countering, fight back, racism at 12:47 pm on October 20, 2016 by Broadsheet. 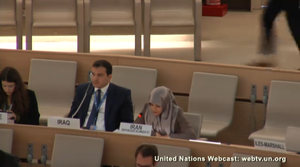 A representative from the Islamic Republic of Iran speaking at the UN Human Rights Council in Geneva this afternoon. Posted in Misc and tagged Iran, Ireland, racism, UN Human Rights Council at 2:19 pm on May 11, 2016 by Broadsheet. 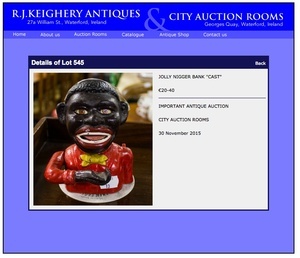 Posted in Misc and tagged auction, racism at 11:34 am on November 30, 2015 by Broadsheet. 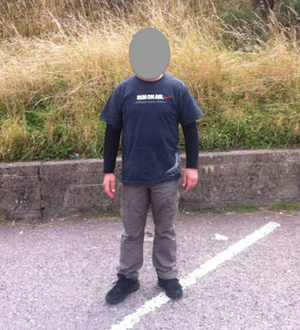 A Syria-born man (above), who does not wish to be identified, has been living in Ireland for 13 years and was recently reunited with his wife and son when they moved here under a Government reunification scheme. The man has a business in Cork and is now an Irish citizen. 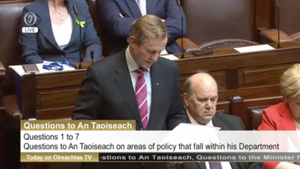 He spoke with journalist Brian O’Connell on RTÉ Radio One’s Today with Seán O’Rourke yesterday. He said since his wife arrived, she has been subjected to harassment and abuse and that she hasn’t left her house in several weeks. One of Syrians I featured this am has fluent English (as well as Arabic) – plus IT skills. 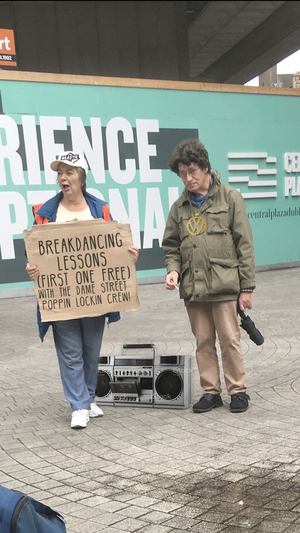 Any companies in Cork need her skills set? 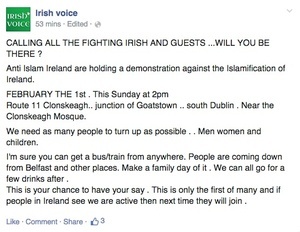 Posted in Misc and tagged Brian O'Connell, Cork, racism, Syrian family at 1:56 pm on September 3, 2015 by Broadsheet. With [Walter] Scott more than 10 feet from [Officer Michael] Slager, the officer draws his pistol and fires seven times in rapid succession. 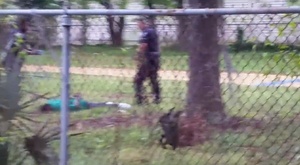 After a brief pause, the officer fires one last time. Scott’s back bows, and he falls face first to the ground near a tree. After the gunfire, Slager glances at the person taking the video, then talks into his radio. The cameraman curses, and Slager yells at Scott as sirens wail. “Put your hands behind your back,” the officer shouts before he handcuffs Scott as another lawman runs to Scott’s side. Scott died there. Posted in Misc and tagged racism at 7:21 am on April 8, 2015 by Admin. 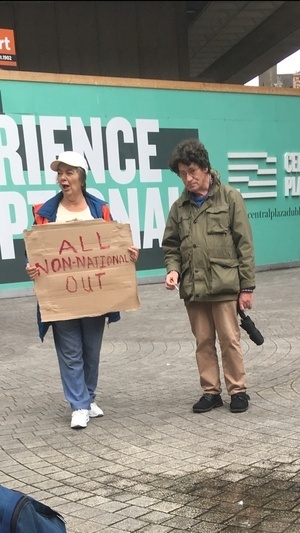 Worried this will give more oxygen to these nutjobs protesting, but surely this has to be read as a threat? 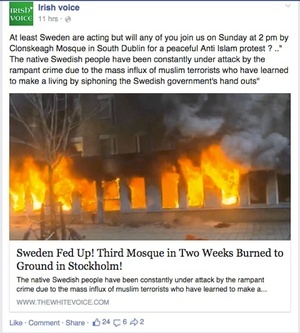 Posted in Misc and tagged Islam, Mosque, racism at 1:14 pm on January 29, 2015 by Broadsheet.